After reading this first chapter, I connected with Erin and her doggy Henry immediately! I have a neurotic part boxer and I could understand completely where she was coming from. I felt a kinship and as I read, I could laugh and sympathize with Erin as I turned each page. And oh, how I laughed while reading this book! Erin Taylor Young has a wonderful ability to tell a humorous and very real story that allows you to come and experience what she has gone through with her crazy pup, who deals with Supreme Dictator of the World Syndrome. The training experience of Henry and his connection to the obedience school manager was fun to read, he is a loveable pup. With all of Henry's shenanigans, it is true with what Erin says, it's hard to be mad when he is so cute. I loved how the family showed such care for Henry, even during his destructive phase, it's all part of owning a pet and they showed how to handle it with humor and grace. I have to say, I thought loosing long sleeve shirts was bad...I can't imagine loosing jeans to a puppies teeth. And the de-fluffying of toys, I just had to smile and say, "yep." I wish I had known all of these things before getting mine! 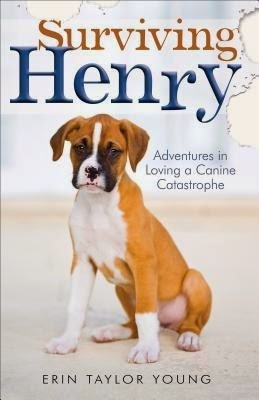 Surviving Henry is a fun book that is perfect for the animal lover, or if you are just contemplating getting a dog. It's a real account puppy hood. It's a fantastic light read that will leave you chuckling well after you are done reading it. Erin Taylor Young is a humor writer who works in a library, where she gets to wander among books. She loves football, photography, and hiking in national parks. Erin has written for Today's Christian Woman, Outdoor Guide Magazine, and MidWest Outdoors. 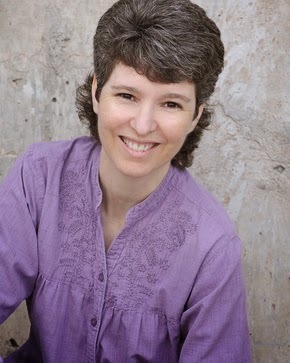 She was a finalist in the Phoenix Rattler 2011-2012 writing contest and in the Genesis 2012 contest for her contemporary fiction. She lives in Oklahoma with her well-meaning husband, two polar-opposite sons, and a noncompliant dog. Find out more at www.erintayloryoung.com.